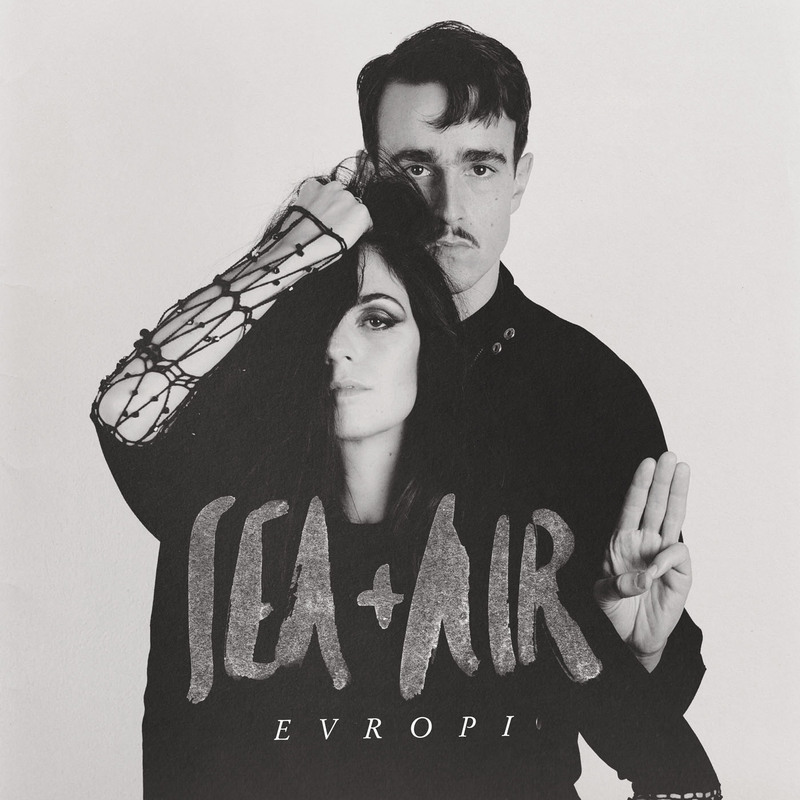 More literary rich criticism from Ayfer Simms; perusing and finding much to admire about the new Evropi album from the Greek/German duo Sea + Air. Once upon a time we had to say goodbye to our beloved crops, soil for the land once nurturing chased the last drop of human warmth from its core. Sea+Air with a mixture of discreet sadness and melancholia shows the palpable feeling of deep wounds, through oriental nomadic melodies, a rhythm that blows like a fast wind. Both lead singers are touched by grace, they walk on tip toe as they caress the listener’s spirit with gentle vocal harmonies, whimsical sighs and yet empowered fist like souls, made of steel. Through the mantic chant of ancient men and the angelic quivering of both performers, we are projected in a modern fairy tale, we watch the traces left on the path of a wide desert: There’s a sense of departure, never lacking anxiety and yet mixed here with hope and beauty, effortlessly rendered in the album, with songs like ‘We All Have To Leave Someday’ or ‘Pain Is Just A Cloud’, ‘Lady Evropi’. The music carries in its heart the blurred sparkle of the ancients; Sea+Air, in a long and resigned whisper, bid an eternal farewell to a space and time filled before by humankind, to the mother of all mothers, to the Lucy that we were once who rests in a mount of dust and rocks, to the past with all its adventurous wonders and gloominess. The band makes their own past the past of us all, by adding elements of all ages: here the timbales of a castle in Europe, there a sophisticated clarinet, lively pop tunes from the 80s even, yet the soul remains old, charged with heavy experience lying in all hearts that they manage to extract beautifully. There is a fierce demonic sensuality in the tracks. The birth screech of a child in the streets of an old town, on the side of a hill that existed for centuries, a forest as wild as an untamable roaring nature, the sob pierces the universe’s thin fabric swallowing us in it. Nature is good, but there is pain within it. Everything is raw on the album; it is tormented, gentle and peacefully charged with an intuitive musical freedom, creating a sort of historical, ethnic pop. There is no desire for revenge in the atmosphere, instead compassion, courage, the wish to open one’s eye: Mischief lived by one, is mischief lived by all. All this comes out from the 12 tracks of Evropi. All that, and much more.